Job seekers: Are you ready to gain control of your career and your future? 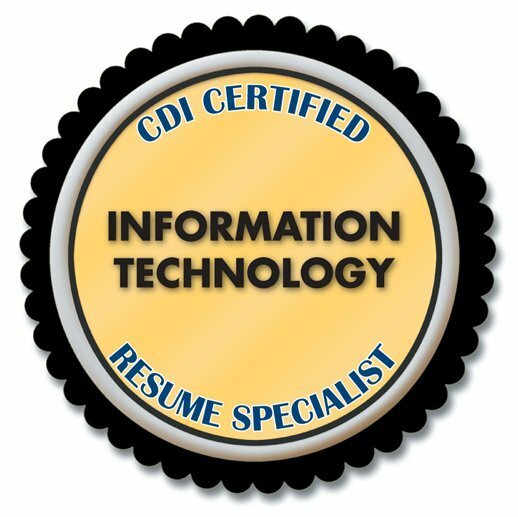 A member of CDI can help, whether you are looking to improve your resume, create a LinkedIn profile, change careers, get interviews, or negotiate a higher salary. Regardless of your goal or challenge, working with a talented professional can dramatically shorten your job search, position you to attain a much higher salary with your next position, and greatly reduce your stress. You’re an expert at what you do — hire an expert to help you make that shine to potential employers! A credential that can be verified through a credible organization such as CDI. It’s always a good idea to make certain that the individual holds the credential they claim to have and that it is from a reputable (and real) organization. A credential that requires continuing education. Especially in industry specialties such as resume writing, you want to know that a professional is continuing to expand their qualifications to stay abreast of industry changes. 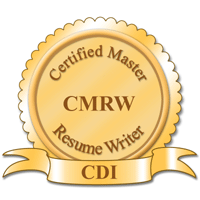 CDI’s Certified Advanced Resume Writer, Certified Master Resume Writer, Certified Executive Resume Master, and Certified Resume Specialist are some of only a few resume certifications that require continuing education units in the industry. Using CDI’s Find a Career Pro search feature, you can find one of our Certified Professionals. Just use the certification search features or look for individuals who are listed as having one of CDI’s certifications. How does certification work at CDI? Depending on the credential, resume writers are either completing a rigorous testing and writing process or when upgrading to a higher-level certfiication, they are submitting a portfolio of samples that they have attested to creating. Tests are graded and require a passing score to move forward. Submitted resumes are evaluated blind by a panel of CDI’s high level certfied resume writers (volunteers). A majority pass must be attained to become credentialed. All resume certifications require continuing education. .
Avoid scams: Be sure to always visit the granting association or certifying organization to verify credentials as there are many fake coaching and resume credentials listed on the Internet. How does your process work? (You want to know whether it is face-to-face, on the phone, through questionnaires, etc.) There is no one method that is right, but it must feel right for you. Will I work with you or a third party? If a third party, what are the qualifications of that individual? Can I speak with him or her before purchasing the service? You also need to consider your comfort level with the individual. Is he/she motivating, friendly, and encouraging or brisk and indifferent? Do you hear back in a timely manner? Do you get straight answers to your questions? If you feel comfortable with the individual you will have a much greater chance of working together successfully to meet your goals. Be careful of guarantees: A money-back guarantee can inspire confidence but it is not the only mark of a qualified professional. In fact, many resume writers do not offer such a guarantee because they work on the philosophy of doing it right the first time and partnering with you to ensure you are happy. In short, don’t base your decision to work with a professional based solely on a ‘guarantee’. Substantial testimonials that stress actual outcomes of the job seekers. Fluffy testimonials that talk about ‘increased confidence’ in their job search is not an indicator that a document or service will be successful. Real-sounding testimonials; if you have doubt, inquire. Ability to speak to former satisfied clients. Regarding referral to references: Not all career professionals are able to provide actual references to satisfied clients because of their privacy policies to protect their clients, especially in this age of identity theft. In most cases, you should be able to learn enough about the career professional through a consultation, review of written testimonials, and evaluation of credentials. However, if available, this is a very strong indicator that a professional could be a good match for you. In career services, there are generalists and specialists. For instance, if your career is in information technology, then you want to make certain that the professional you select has expertise in your field. Alternatively, if you are seeking a career coach, you should find out if they are adept at working within your goal area (such as a female seeking promotion to the executive level) or a job seeker looking to make a career change to an unidentified field. While many professionals offer multiple one-stop services, make sure they can meet your needs. On specialization: A professional doesn’t have to specialize only in your field to be able to provide you with the expertise you need. Be sure to ask if the professional has experience in your field, look for samples on their website (if you are seeking resume services), and watch what they say to gain a sense of their comfort zone with your field. Many professionals are adept at interviewing and researching so that they do not need to specialize to provide you with superior service. Finding a credentialed resume industry specialist: When you use CDI’s Find a Career Pro search feature you can also look for resume writers who specialize in particular professions. 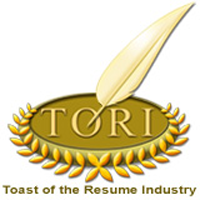 Include a search for the Certified Resume Specialists in your niche, which is listed in the Certification category. Community and industry outreach / volunteerism. How to learn more: Use CDI’s Find a Career Pro search feature to locate individuals who have won awards in resume writing, career innovation, or lifetime excellence. Additionally, read the bios that our members have included to tell you about their expertise and background. Then, be sure to click through to their website to learn more about them. Do your do diligence! You can also use www.google.com to search for the name of the career professional. Put the first name and last name of the individual or the company name in quotes such as “Tom Jones” or “XYZ Resume Service” and then review the listings. Are there any about this individual such as quotes, books, a blog, articles, committees, or industry awards? Are there numerous negative reviews? The professional’s online identity can tell you a lot about how involved, recognized, professional, experienced, and up-to-date the professional is in the careers community. Not all career professional specialties can furnish samples such as coaching, recruitment, and outplacement. In fact, probably the only professional who will have samples available are resume writers and document developers (LinkedIn profiles, cover letters, bios). Expect to be able to view JPEG or PDF samples on the web, or printed samples in the office (for professionals who offer face-to-face service). What not to expect: Don’t expect to ever receive samples by email or be given samples to take home, and don’t expect to be able to print, copy, or save web-based samples. These are there to show the quality the professional can produce and not for you to reproduce since they won’t be tailored to your needs. Also, don’t expect to see samples of documents such as cover letters, thank you / follow up letters, or references. If a professional demonstrates the ability to write a results-driven resume that emphasizes unique selling propositions, he/she will be able to write strong supplemental documents. Again, while not a definitive single selection criteria for picking a career professional, a professional who shows significant continuing education in his/her profile of qualifications is going to be more up-to-date than someone who has not/does not pursue life-long learning. Ask about continuing education or look for attendance at conferences or attainment/retention of credentials that require continuing education units to maintain them. Don’t wait to find a talented professional to assist you! Again, take your time in making this important decision and investment in your future. By looking at the above areas you can determine if a service provider is the right one to assist you! The above information does not constitute legal advice. Career Directors makes no guarantee or promises regarding either the communication with or services that are provided by members, and cannot be held liable for services rendered, promised, or discussed. Any issues should be taken up with the individual company that was hired.